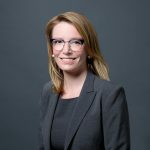 Ann-Marie joined Black Creek Investment Management in 2015 and has more than 18 years of experience in senior roles in the financial services industry. Previously, she held the role of Vice President, Relationship Management at State Street Global Services, Alternative Investment Division, where she was responsible for large- and medium-size client relationships. 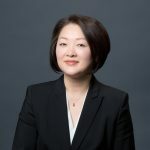 Prior to that, she held the position of Vice President, Custody/Fund Accounting at State Street Trust Company Canada, and was responsible for net asset value calculation and financial reporting for exchange-traded funds and institutional mutual funds. Before State Street, Ann-Marie spent 10 years at Desjardins Financial, where she was the Director, Funds Valuation and Financial Reporting, responsible for the net asset value calculation, financial statements and tax reporting for retail and institutional segregated funds for most of her tenure. Ann-Marie has also worked at OMERS, Imperial Life and Laurentian Funds Management. Ann-Marie is a CPA, CMA and CGA. She holds a Bachelor of Business Management Degree, with an accounting and finance major, from Ryerson University.